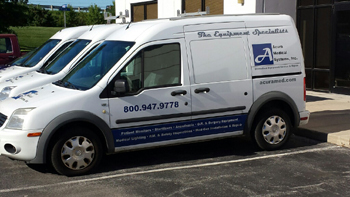 Anesthesia Equipment Repair Service is a specialty of Acura Medical Systems Inc. We offer a comprehensive suite of anesthesia services, including: preventive maintenance, repair, vaporizer service and calibration using state ­of ­the ­art gas analyzers. We provide a complete, color ­rich report to each of our customers when we perform anesthesia inspections. Acura Medical Systems Inc. anesthesia customers include: oral surgery centers, dental offices, veterinary practices, hospitals and surgery centers. Acura Medical Systems Inc. also services and installs Waste Gas Scavenging Systems (WAGS). These systems include dedicated central systems, piggyback vacuum systems, low­ flow laminar systems, and passive systems.